The Sacrament of Matrimony (often talked about simply as Marriage) is the Sacrament of the Church in which a man and woman publicly and lovingly unite themselves to one another and to God in the presence of the Church and their family and friends. Joining together in this Sacrament, "the two of them become one body" (Genesis 2:24). It's an incredible moment and one that is seen as beginning a union that reflects the enduring connection between Jesus Christ and the Church. Just as Jesus will forever love us, refusing to abandon us even in our moments of weakness and failure, a new husband and wife become united together for life, always there to strengthen and support each other. 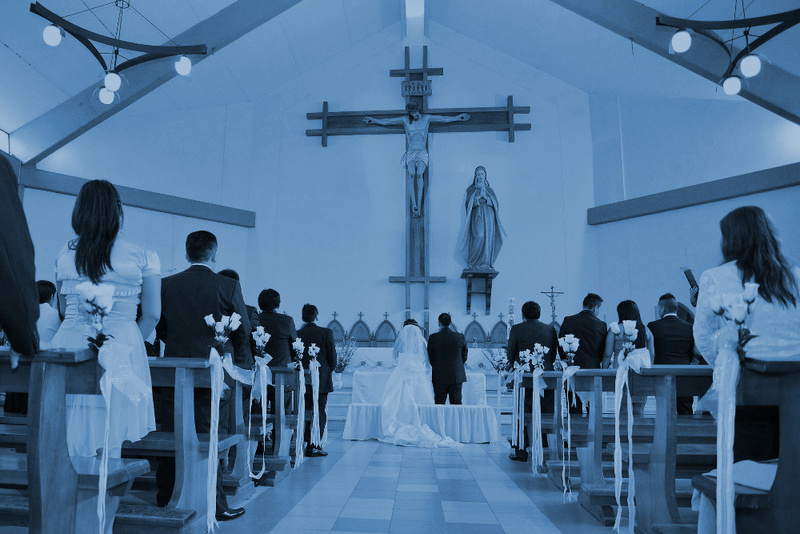 This union between husband and wife is created and celebrated through the Sacrament of Matrimony in a ritual typically called a Wedding, which in the Catholic Church can take place either within or outside of Mass. Within this celebration, the couple are blessed, lifted up in prayer, and commit themselves to one another, consenting before God and all those present to love and honor each other all the days of their life. It is a beautiful time that celebrates the husband and wife, their family and friends, and the virtues of dedication, service, and love with which God has blessed his people. We Want To Get Married... What Do We Do? 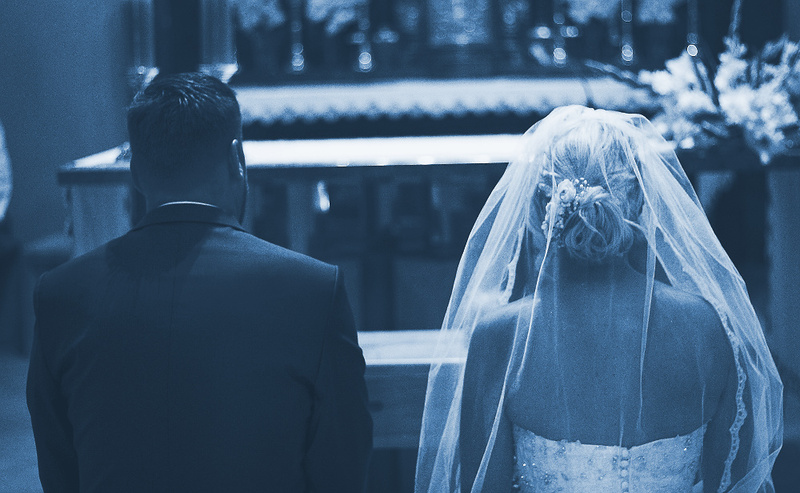 If you're interested in getting married at St. John Bosco Parish, we ask that you contact us to express that interest and find out more information. If you are considering having your wedding at St. Mary Church or St. Therese Church, please call the Parish Office at 203-488-1607. We ask that you contact our Office at least six (6) months in advance of your desired wedding date. This not only will give you plenty of time to complete all necessary requirements but, more importantly, will provide you with time and opportunities to fittingly and prayerfully prepare for your memorable day and the beautiful life as husband and wife that it will begin. We Contacted The Church... Now What? Congratulations on beginning your wedding preparations! We're excited that you've chosen St. John Bosco Parish as the place in which such a special and memorial moment in your lives will take place. 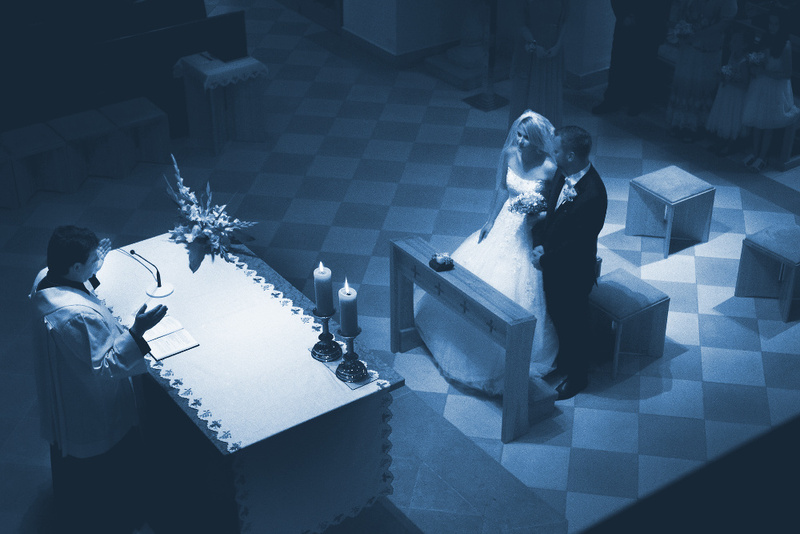 Once you've contacted the Parish Office and expressed interest in having your wedding at our church, you'll be asked to collect certain information and documentation. These requests will be laid out in your conversations with our Secretary and during a meeting that you'll be asked to attend for all engaged couples preparing to be married here at our parish. You can access individual documents, links, and helpful information on a variety of marriage-related topics by CLICKING HERE to access the Marriage Document and Resource Page.